The Academy Award-winning composer Michel Legrand has teamed with Sheldon Harnick, one of the theatre’s most celebrated Tony Award and Pulitzer Prize winning librettists, and the tale of Ebenezer Scrooge’s prophetic Christmas Eve is reborn. 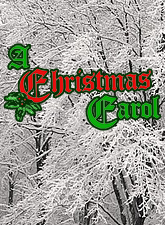 From the pages of Dickens comes this scintillating musical adaptation of the Yuletide classic that continues to touch hearts and minds the world over. This universal story is ultimately one of family and conscience, of desperation and regret and second chances. Give your audience the holiday gift of embracing its warmth and wisdom as never before, carried on the wings of a soaring theatrical score. Singing-dancing ensemble with several small roles, children and much doubling possible.